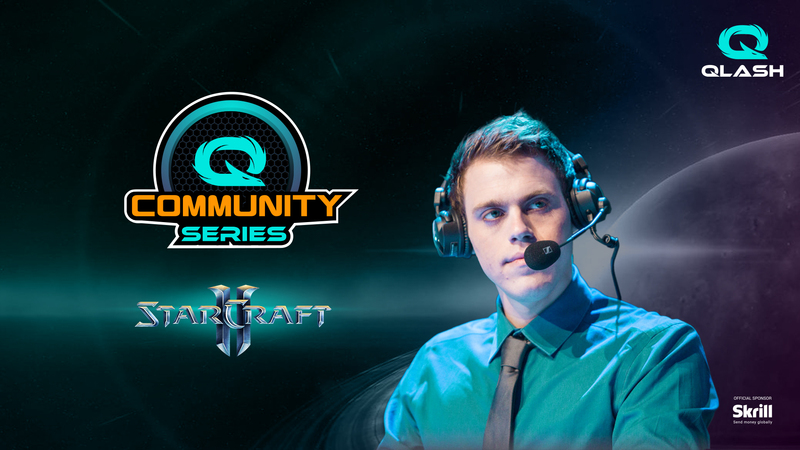 Hello everyone, we're back with the QLASH StarCraft2 Community Series! Very detailed information about the event can be found on our website! To keep things brief here, we would like to welcome everyone who is Diamond rank or above but has less than 100 WCS points in each of the previous 2 seasons! We will run 8 events every Wednesday starting just in 2 days on the 6th of February. Every single tourney will start at 17:00 GMT (+00:00) and the brackets will be limited to 128 players. All events will have a 100$ prize pool attached to them for the two finalists in 70$ to 30$ ratio. The winner of each event will qualify to a final bracket between the 8 winners (so you shouldn't play more than 1 event if you win) and the winner of the final bracket will go to a WCS event this year fully paid by QLASH! Our favorite Kevin 'Rotti' van der Kooi will be streaming most of the online events giving proper exposure to players that might not get to the stage that often. Read all details, schedule and rules in the link provided above and let us know if you have any questions! We have set up a Discord server as well to help answer all potential queries. Most of all, we hope it will be a fun event that you will enjoy! After 8 weeks of qualifiers we have our Ro8 finalists who will compete for the grand prize of a WCS travel and accommodation this year. You can find the Ro8 bracket here! The whole bracket will be played this Wednesday 17th of April starting at 18:00 CEST. More information about the players that will compete in the finals can be found here! Very cool initiative and a sick prize for the first edition. Hey all, thanks for the positive words! The link to the first event is already up We will post following ones as soon as we have them! If anyone can make a liquipedia page that would be amazing since it would probably take me about a week to make one..
Hey ya all, our first event starts today at 18:00 CET. I've just added it in the calendar as it was unavailable so far so just bumping this thread for awareness. Great night of sc2 so far! The link for the signup of the second event this Wednesday at is attached to the main message. This week Community Series event will be postponed with one week because of WESG. The link for the signup on challonge remains the same, but the date of the actual event will be changed to 20th of March. Everything else is the same! Thanks for everyone that participates and follows our community series! The link for tournament #7 is updated in the initial post and you can sign up for this Wednesday! Good luck! Tomorrow (10.04) we have the last QLASH Community Series qualifier. As usual, starts at 18:00 CEST and has a 100$ prizepool. Don't forget to sign up, link updated in the main post! We have the Ro8 finals tomorrow at 18:00 CEST. They will be casted by Rotti and ToD on our Twitch channel. Very happy for a successful series so far and we welcome you to join the live stream that will decide who will win a paid WCS travel and accommodation this year. See the updated main article for more details!